We had lovely weather yesterday - the sun was clearly visible in the blue sky. 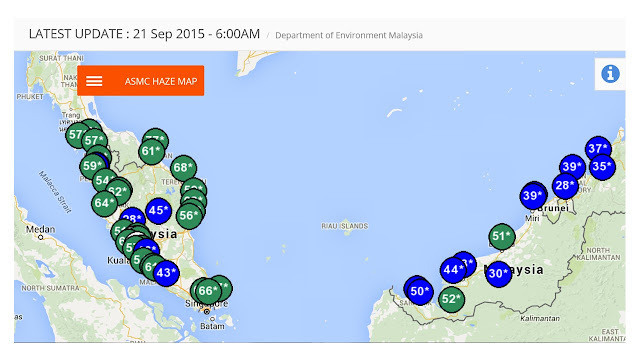 Yes, you read right, blue, which is quite non-existent currently in the haze situation we are experiencing now. How we take things for granted when they are around, the blue skies, I mean, and good air quality, as well. A look at the API/PSI index chart shows we are going to have another great day ahead, another hazeless day in the country, if you will. 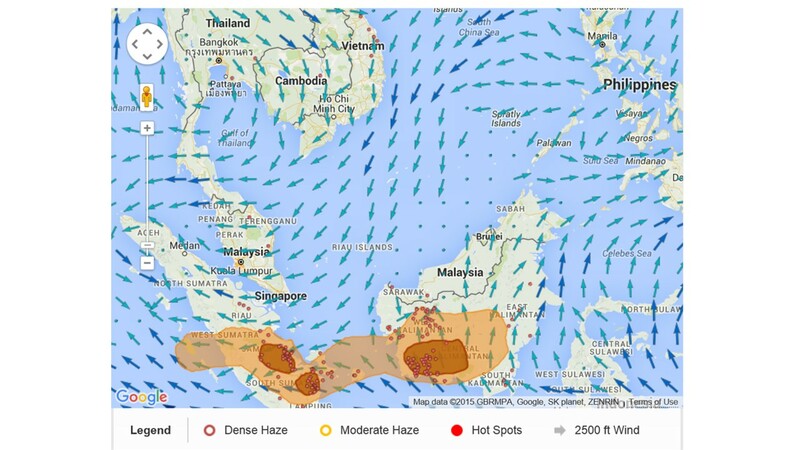 Here's why the haze may be gone. 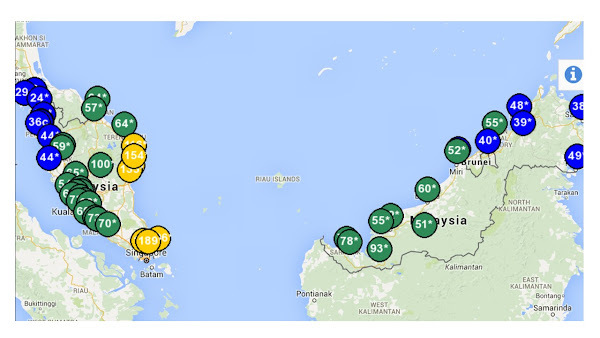 The number of hotspots in northern Sumatra has vastly reduced as can be seen below. 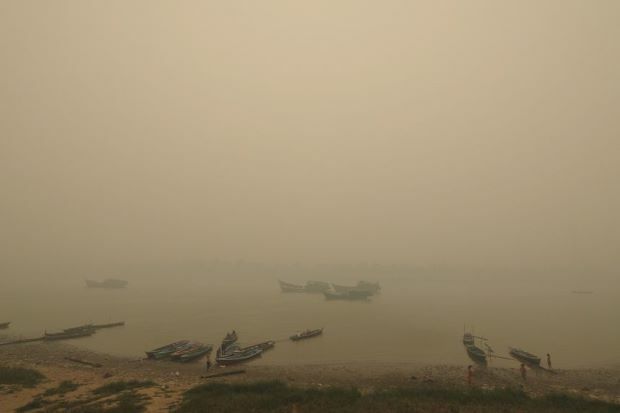 Hotspots in southern Sumatra and Kalimantan near Sarawak are still raging on so much so the haze has spread to the sea areas between Kalimantan and southern Sumatra. The wind direction could also be a contributory factor to better air quality. As per DOE's Regional Haze Update.. The hotspot activities in Kalimantan and Sumatra could not be fully determined due to cloud cover. Kalimantan continued to be shrouded in moderate to dense smoke haze and the haze has spread to the sea areas between Kalimantan and southern Sumatra. 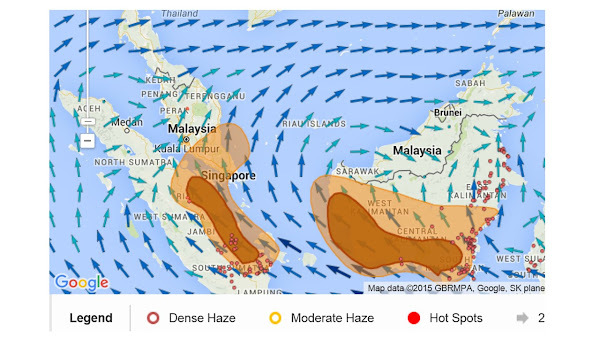 Moderate to dense smoke haze was also detected in central and southern Sumatra. Christmas is a little over three months away. Time flies, huh? No, never too early to start Christmas shopping. Early shopping provides for a lot of advantages, you know that. You'd not have to get through that mad rush at the last minute for starters and you get more time to select gifts you think your friends and family would love. The world is our oyster really when it comes to shopping and early shopping makes it more so. If you have yet to gift anyone with music gifts how about making a change this year and surprise your loved ones along the way. And while we are at it, why not reward yourself with a music gift this year. 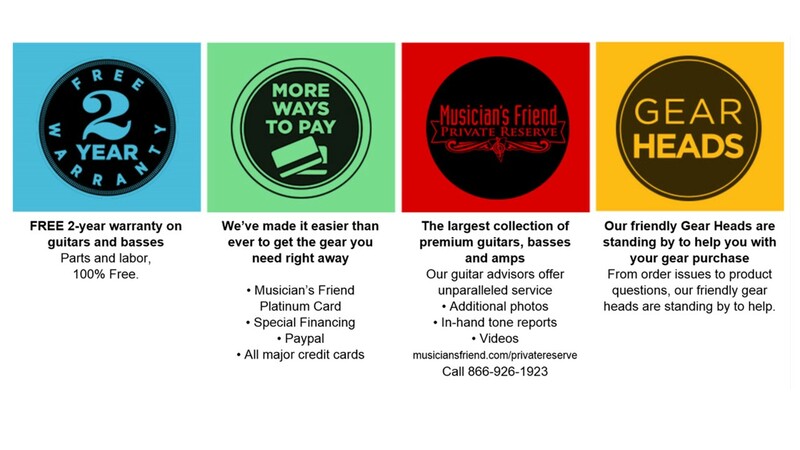 If you are a musician better yet, this music store that found is committed to helping musicians. Here are just a few reasons to shop with them..
See what I mean? Go check them out! If you are living outside of the U.S. fret not as they do serve Internationally to over 100 countries. Got questions? Shoot them an email. Friday Frolics - What Flavor Iced Tea Are You? 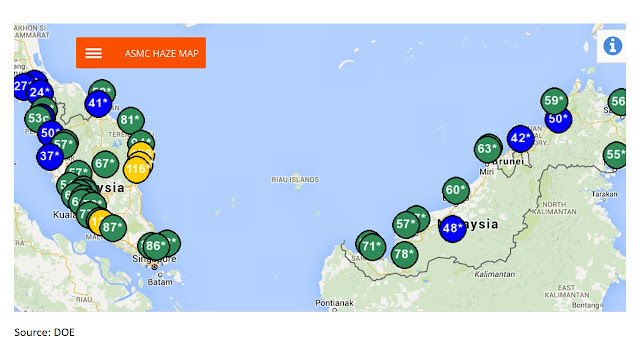 It's still hazy outside here in Kuala Lumpur but strangely the API Index shows good air quality numbers. And the PETRONAS Twin Towers and the KL Tower are still not visible from where I am. 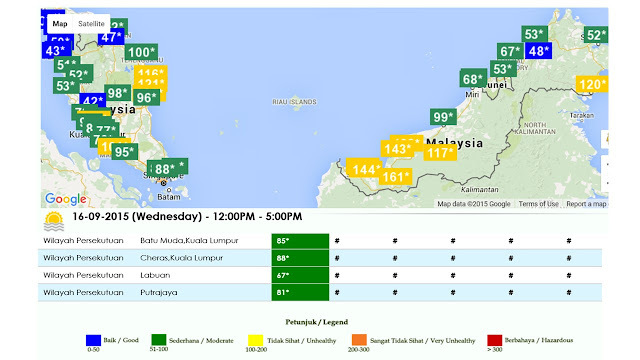 No matter, still it is good to know that we are having better air quality, for today at least. Cloud-seeding may be doing some good as we got some rain though not in buckets as anticipated. Iced tea. Who doesn't like iced tea! This week you get to find out what flavor iced tea you are. Go on, take the quiz to find out.. Happy Friday! And Happy Autumn! You are warm hearted and generous. You believe it's important to make others feel comfortable. You are a bit of a cozy homebody who feels out of place in the warm weather. You'll drink iced tea but you prefer the hot stuff. You are more serious than most, and you shy away from superficial people. You prefer to look beyond the surface. You like deep conversations, engrossing novels, and moving films. You find ideas and human interaction fascinating. The Last Quiz: What Kind of Pie Are You? I have had numerous queries over the years about buying wigs in Kuala Lumpur. If you are still reading this space, have I got you an update! You don't need to come to Kuala Lumpur to buy wigs. Or even if you are in Kuala Lumpur, you will find that buying wigs online is the way to go. Shopping online gives you the comfort of shopping from home and you do get better prices than you would from a brick and mortar store. OrderWigsOnline.com is the wigs site I'm talking about. Most wig stores would have hundreds or even a thousand wigs for you to choose from but OrderWigsOnline has, now get this, over 5000 pieces in stock! Talk about being spoilt for choice! 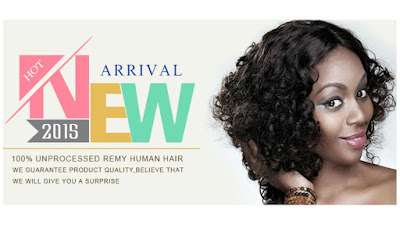 OrderWigsOnline is a trusted supplier of the highest quality 100% Human hair full Lace wigs and lace front wigs. Their stocks include Indian Remy hair and virgin hair, Chinese Remy and virgin hair, Malaysian and Brazilian Remy hair among others. Also available is their wide range of Hair Extensions and Lace frontals. Navigating the site is easy. Categories at top of page will take you to what you are looking for. 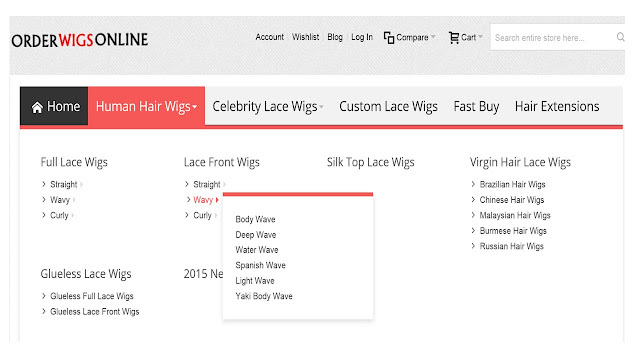 For example, see screenshot below, this is what you will find in the category Human Hair Wigs. Human hair wigs are preferred over synthetic hair wigs because human hair wigs can be curled and flat ironed because it is 100% human hair. You can style, set and wash as you would with your hand. Obsessed over any celebrity hair style and would like to have the same look? OrderWigsOnline has a wide range of celebrity-inspired wigs, from Catherine Zeta-Jones' tresses to Katy Perry's to Fergie's and more, much more. Wigs are becoming more and more popular without any distinction on age nor ethnicity. Not only are wigs super convenient in today's hectic lifestyle, contemporary wigs are so realistic that changing a hair style only takes a few moments. Why would you want to buy from OrderWigsOnline? - For starters it's easy and safe online shopping here. - You'll be assured of 100% High Quality Hair at lowest factory prices. - There is 24/7 Customer Service should you need assistance. - They provide Fast Delivery All Over the World. 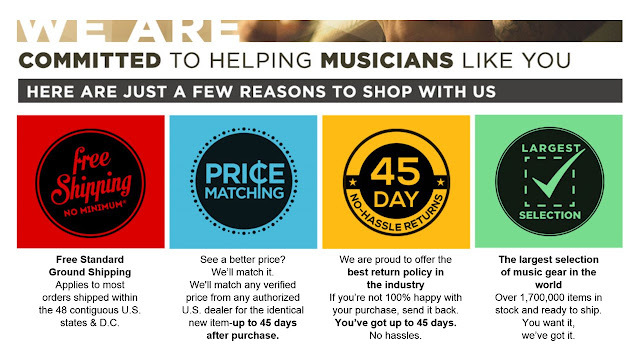 But why wouldn't you want to shop at OrderWigsOnline? For whatever reason you are in the market for a wig or two or more, this is the right time to shop at OrderWigsOnline because they are currently having a Sale on many of their wigs. Check them out today! With peat fire hotspots numbering in the hundreds, it will be a while before this haze situation abates. It is still unsafe for outdoor activities. Schools are still closed here. 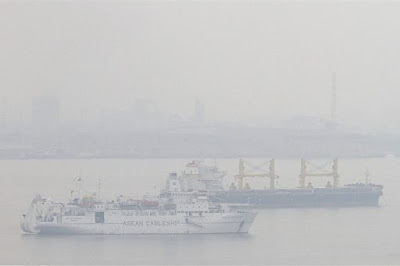 Yesterday, The Jakarta Post reported thousands were fleeing Pekanbaru as the Pollutant Standards Index (PSI) in the Riau province capital, which is about 280km away from Singapore, surged to a record 984 yesterday. 984! No joke. 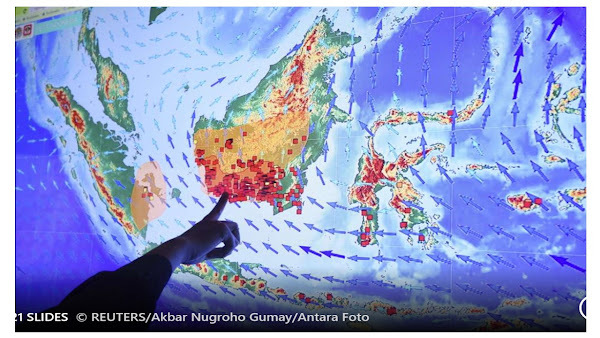 Many have taken to the roads, trying to find their way north to neighboring Medan, or west to Padang, to escape the thick haze that has rendered their hometown unliveable. 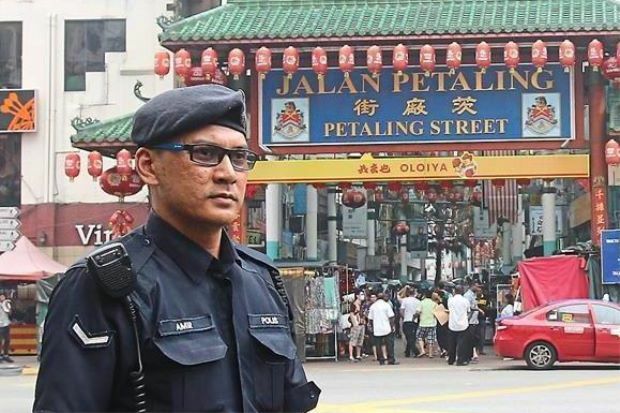 Police beef-up at Petaling Street in Chinatown. Shop owners around the Petaling Street have been advised to close their shop on Malaysia Day to avoid trouble. More images of Himpun 16.. and here as well. Situation this morning at Bukit Bintang area and Low Yat Plaza - rather deserted by comparison considering this is a public holiday where the malls and shopping complexes would be crowded normally on a public holiday. Strong Police presence in the area today. One thing nice about these videos is you get to see parts of Kuala Lumpur - which give an idea of what the city looks like for one who hasn't been here. Ok, now to the issue about the haze in the country - Visibility in the Klang Valley (including KL) may have improved slightly after a bout of rain yesterday morning, but there is yet to be any significant improvement in the Air Pollutant Index (API) readings. All outdoor activities have been discouraged and called off. 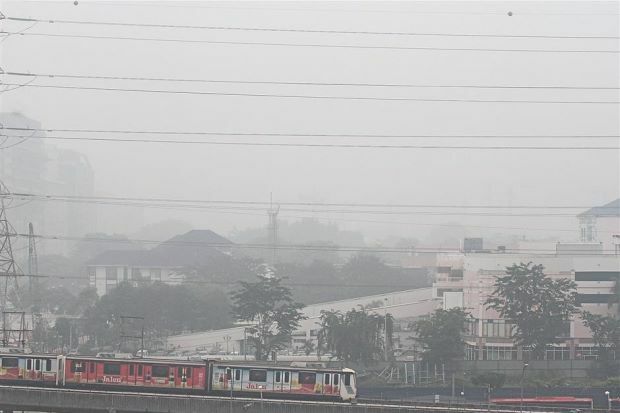 After parents expressed their concerns regarding schools still operating despite the haze, the Education Ministry made a last-minute decision to order schools in several states to close for at least two days. Pharmaniaga Berhad a pharmaceuticals company staff members distributed face masks to motorists in Putrajaya. 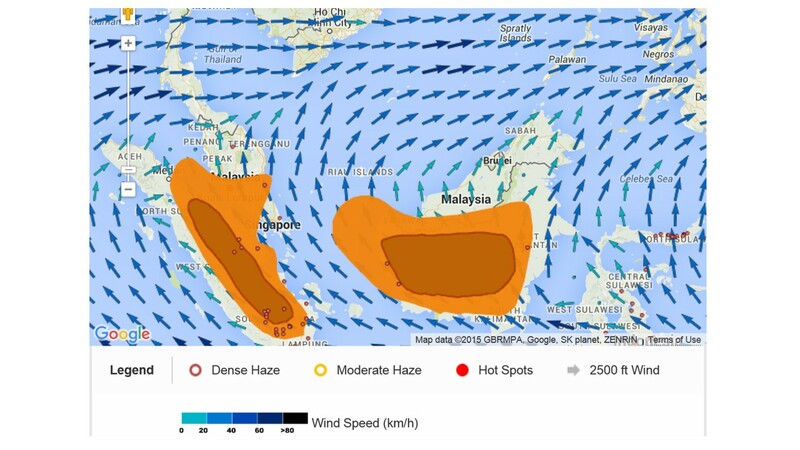 Just to give you an idea of what's the current haze situation in Kuala Lumpur..
Today is Malaysia Day, not to be confused with Independence Day that we just celebrated on August 31. Malaysia Day, Sep 16, is historical for Malaysia as this is date marks the joining together of Malaya, North Borneo, Sarawak, and Singapore to form Malaysia way back in 1963. This year's official celebration will be held in Kota Kinabalu, Sabah. Negotiating the streets of KL today might be tricky today as many major roads in the city are being closed ahead of the red shirt rally that is planned today from 12noon to 7pm. A check on Bukit Bintang area around midnight last night by The Star reporters showed a quiet Bukit Bintang. Here, take a look. According to The Star, Hawkers and petty traders in the Imbi, Pudu and Lee Lam Thye markets in Kuala Lumpur, however, have decided to close today although some may remain open. The rally, will see those taking part march from Federal Territory Mosque, National Mosque, PWTC and Karangkraf building heading to the assembly area at Padang Merbok. 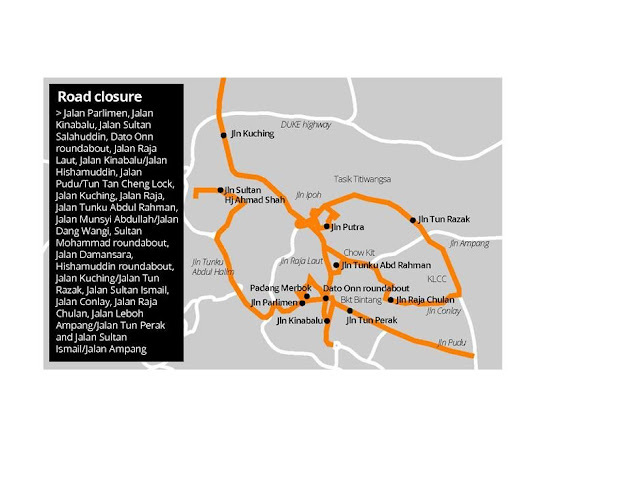 Police will close several major roads today. Jalan Parlimen, Jalan Kinabalu, Jalan Sultan Salahuddin, Dato Onn roundabout, Jalan Raja Laut, Jalan Kinabalu/Jalan Hishamuddin, Jalan Pudu/Tun Tan Cheng Lock, Jalan Kuching, Jalan Raja, Jalan Tunku Abdul Rahman, Jalan Munsyi Abdullah/Jalan Dang Wangi, Sultan Mohammad roundabout, Jalan Damansara, Hishamuddin roundabout, Jalan Kuching/Jalan Tun Razak, Jalan Sultan Ismail, Jalan Conlay, Jalan Raja Chulan, Jalan Leboh Ampang/Jalan Tun Perak and Jalan Sultan Ismail/Jalan Ampang would be done in stages based on traffic flow. Alternative routes to the city centre are available for those who want to go about their business there. The routes include Jalan Tun Razak, Jalan Hang Tuah, Jalan Kampung Pandan, Pahang roundabout, Jalan Loke Yew/Jalan Hang Tuah and Jalan Bukit Bintang. As for the haze, Kuala Lumpur is still shrouded in unhealthy smog - an API reading of around 200. It is clearly unsafe to be outdoors for an extended period of time. Schools had to be closed yesterday, Tuesday, and it is still unsure whether school will reopen on Thursday. Today, Wednesday, is a public holiday being Malaysia Day. The school holidays are set to start this Saturday in all states and a day earlier in Johor, Kedah, Kelantan and Terengganu. Latest update from The Star at 8:37am..
Red shirt protesters have started gathering at various locations in the city centre on Wednesday. As the small groups of people started trickling in as early as 7am, police also made their presence felt. Federal Reserve Unit personnel and trucks were seen on standby at strategic locations, mainly at Bukit Bintang and Petaling Street, the gathering points for the protesters. KL is experiencing the worst Air Pollution Index reading of the year and we are right in the middle of the smog that's being blown over from yonder! See for yourself..
A little bit more about the haze here. 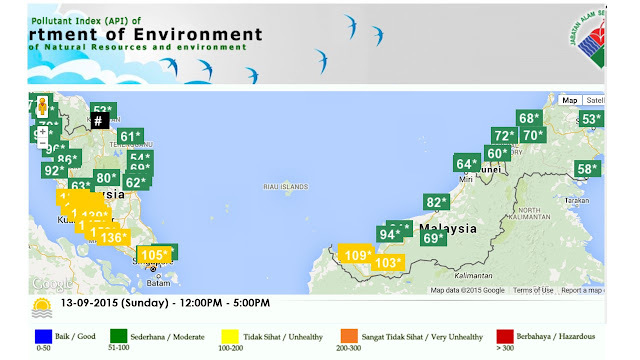 Image courtesy of DOE Malaysia. 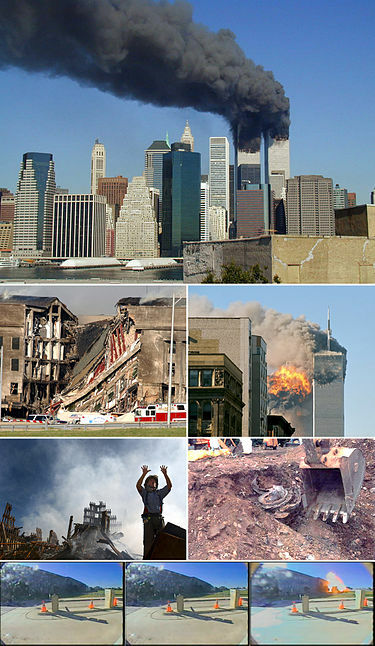 Today is September 11. Does it ring a bell? 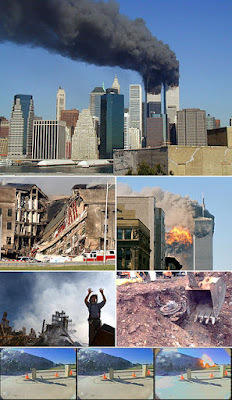 I watched a two-hour documentary on Nat Geo last night about the day before September 11, 2001. Didn't know the World Trade Centre had such a beautifully done up bar and surroundings as well as a great private collection of artworks. Today marks the 14th anniversary of that tragic day. A minute of silence will be observed the morning of the day (Eastern time) in New York. In Japan the news reported that it's been raining for some 72 hours that it has caused massive flooding in the Tokyo area. My thoughts go out to bloggers I know there. Please stay safe. But then again on the other hand, a heavy downpour or a change in wind direction will render our skies blue and clean again. Fortunately, this hazy condition is close to coming to an end, maybe in two to three weeks time. Whatever it is, Happy Friday! May you have better conditions wherever in the world you are. People, do I have a cute quiz for you this week! - an inner cute monster quiz. Yep, a hazy, lazy Friday today. I was thinking about visiting the pandas and baby panda in Zoo Negara this weekend but thought I'd put it off until the weather improves. KL is hazy but not as bad as in Penang where the State government is now giving out face masks to schoolchildren - last I read. 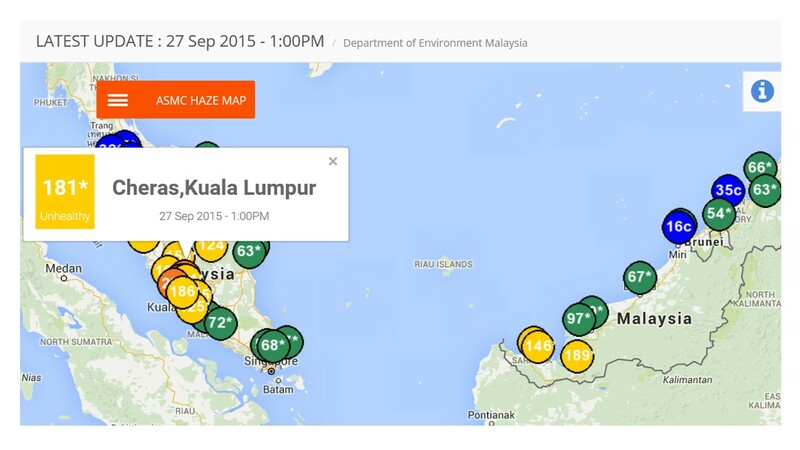 So if you are in Penang, come on down to KL for the weekend or rather for better air quality? Oops! Nope, no smell of BBQ in the air today - be rest assured. And now let's frolic with this Friday Frolics quiz. Happy Friday, everyone! You have a tendency to let your passions take over. Last Week's What's Your Medieval Profession? Yum! - smell of barbecue in the air but wait, there's no actual barbecue going on. How's that, you may ask. 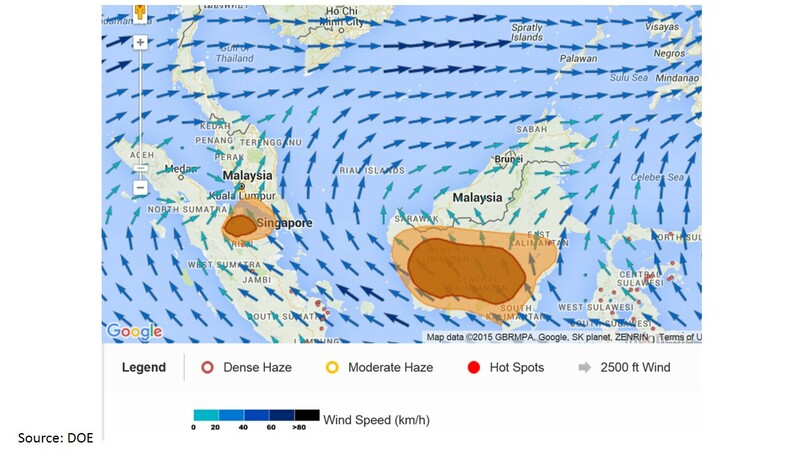 Yes, the haze is back again this time of the year - sort of like an annual affair without fail caused by open burning in Sumatra - land clearing for the planting season. At last count 380 hotspots spotted in Sumatra. The smoke is blown over by the south-westerly wind over the Straits of Malacca to the west coast of peninsula Malaysia. 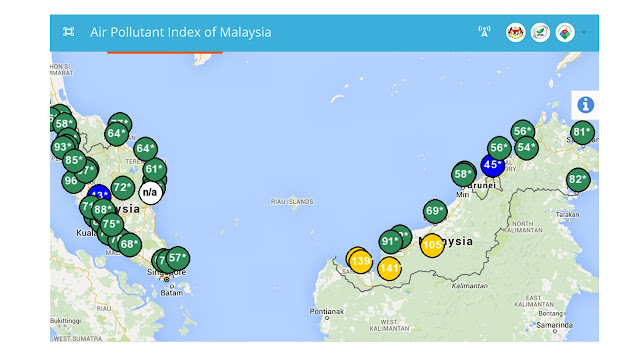 Places like KL, Klang, Pangkor, Penang are all affected. This is the Kuala Lumpur skyline currently - with the 'egg yolk' in the sky. On a clear day this would be a lovely view with both the KL Tower (right) and the PETRONAS Twin Towers in sight. 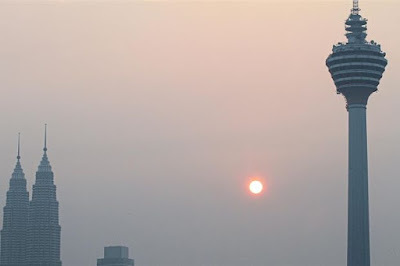 However in hazy times, people living higher up would best be shutting their doors and windows especially for people with breathing problems such as asthma. Yes, do keep your sliding door for lofts shut to stay away from all that unhealthy air. 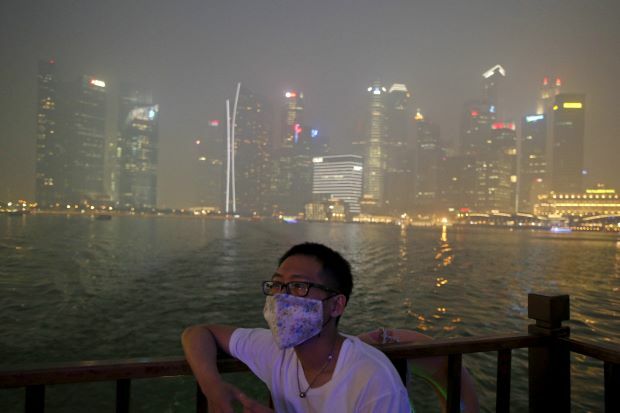 However, the air quality is still good enough to be going out without a face mask. Todate, I've not seen anyone with a mask on yet. So there..
And this was the haze situation in Penang yesterday. Penang is still shrouded by haze and as 4pm yesterday, the Department of Environment’s monitoring stations in Seberang Jaya 2, Universiti Sains Malaysia and Prai recorded API levels of 79, 72 and 68 respectively.